The Social Security Administration provides financial support and medical benefits to individuals suffering from qualifying illnesses, injuries, and emotional problems. These benefits are provided under two programs; Social Security Disability Insurance (SSDI) and Supplemental Security Income (SSI). People suffering from chronic medical conditions such as fibromyalgia may be eligible for SSDI or SSI benefits. A person’s work history generally determines whether they qualify for SSDI. 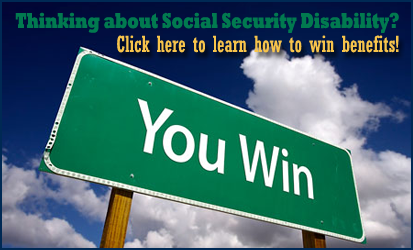 SSDI is intended for individuals who have paid a portion of their wages into the FICA tax fund. SSI is need-based and provided to those who meet income guidelines, regardless of work history. To qualify for benefits under either program, a person must prove that they cannot perform work for which they are suited. The medical condition must be expected to last for a minimum of a year or be expected to cause death. The Social Security Administration (SSA) has compiled a list of medical conditions so severe that they will most likely cause a person to be declared disabled. If a person’s condition is not on the list, the SSA will determine whether it is severe enough to limit work enough to cause a disability. Fibromyalgia is not on this list, but with proper documentation, fibromyalgia sufferers may still qualify by relating to fibromyalgia as a chronic fatigue syndrome. Fibromyalgia is characterized by widespread pain of the muscles, ligaments, and tendons. It is often characterized as a constant dull ache accompanied by fatigue, sleep disorders, and tenderness at multiple points on the body. Many sufferers also have co-existing conditions such as Chronic Fatigue Syndrome, Lupus, or Rheumatoid Arthritis. Depending on the severity of the symptoms, fibromyalgia can be a temporary or permanently disabling condition. Fibromyalgia occurs in about 2 percent of the U.S. population, and is more common in women than in men. Because the causes of fibromyalgia are unknown and the symptoms vary from person to person, diagnoses are sometimes inconclusive, and even controversial within the medical community. People applying for Social Security benefits often have difficulty being approved with a diagnosis of Fibromyalgia. SSA examiners will be more likely to approve cases in which fibromyalgia has been diagnosed in conjunction with another condition, such as rheumatoid arthritis. Fibromyalgia diagnosed by an Orthopedist or Rheumatologist will likely carry more weight than a diagnosis by a general practitioner. Good objective findings in your medical records, over and above the patient’s subjective complaints, will help the disability examiners see the severity of your condition. The SSDI application process can seem long and overwhelming because the SSA is a slow moving governmental bureaucracy. Though approximately 6.5 million people received Social Security benefits last year, many applicants were denied. The most common reason for denial is insufficient medical proof of a disabling condition. To improve your chances of being approved for Social Security disability benefits, be sure to submit all available documentation, including detailed statements from your physician and specialists, complete medical records, and copies of all lab tests, including any new tests performed during your case review. If you have been denied already you may consider getting help with your claim. Disability law firms have the experience of knowing how to present cases that you can only get from doing it hundreds of times, they also know how to develop multiple ways to win a case, so you are not entirely reliant on just one theory as a way to win. Next post: US Disability Claims Are Rising, Is The Economy To Blame or Is It Aging Baby Boomers?